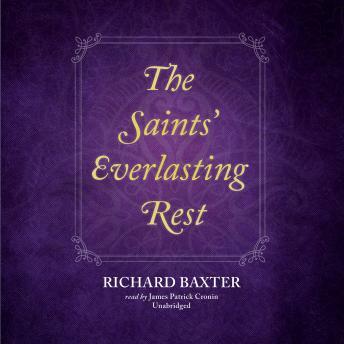 One of the most well-known writings of seventeenth century Puritan minister, Richard Baxter, The Saints' Everlasting Rest will serve as an inspirational, meditative guide to the afterlife. After many years of working to reform the Church of England, Richard Baxter faced an unexpected, serious illness during which he carried out an intense theological exploration of the afterlife and heaven. The humble approach in his writings reflects his life as a Nonconformist leader in the church. His ponderings on heaven, our ability to understand it, and the nature of it will help you prepare for the unknown and encourage a deeper devotion to God.